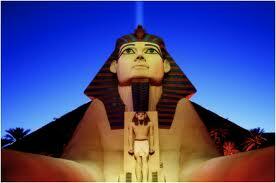 Egypt is a country that has always been looked on with admiration and awe throughout human civilization. The land of the Pharaohs, the Pyramids and the Sphinx, it has been dubbed the ‘cradle of human civilization,’ and its exoticness and prosperity has over the ages drawn the likes of Abraham, the Hebrews, the Greeks and famously the Roman generals Julius Caesar, Mark Anthony and Octavian (Emperor Augustus), who came not only to conquer Egypt but to ‘subdue’ the beautiful Ptolemaic Pharaoh, Cleopatra. Even Mary, the mother of Christ, fled to Egypt with the baby Jesus to escape the wrath of Herod, yet the Bible categorically cautions against going down to Egypt for help. Watered by the floods of the Nile, Egypt has been an irresistible attraction for people since about 10,000 BC. The indigenous Pharaohs, some of the most popular being Tutankhamun, Horemheb and Rameses II, created ‘wonders of the ancient world,’ alongside building up a strong, proud dynasty, and Egyptian culture, and became literarily ‘Sons of Ra’ (gods). One of my favourite movies of all time is the 1998 DreamWorks animated feature, Prince of Egypt. Based on the Book of Exodus, it depicts the relationship between Moses and Rameses: brothers and later enemies. But most importantly it showed the technological and infrastructural advancement going on in Egypt as far back as then, some of it actualized on the back of the Hebrew slaves. And in a kind of revolution, the Hebrew slaves become emancipated and leave for home, led by the Prince of Egypt, Moses. Fast forward to 1952 and there is another revolution, or coup d’etat if you like. This time led by officers of the armed forces, the most famous being Gamal Nasser, the iconic Egyptian leader. The revolution toppled the British backed King and scraped the constitutional monarchy and aristocratic priviledges. This action inspired the rest of the Arab world and the subsequent conflict with Britain, France and Israel in 1956 helped cement Egypt’s status in Arab affairs. Having usurped the aristocracy, the Egyptian military since 1952 entrenched themselves as masters of the Nile. That is until Tunisia ruptured in revolution and birthed the Arab Spring. But as the uprisings cooled down across the Middle East, Egypt has continued to sputter and shake, like an old volcano, erupting now and then – inspiring and infuriating – and reminding the world that the land of the Pharaohs, the kingdom of Cleopatra Ptolemy, never ceases to fascinate. While Morsi’s vanity was certainly not as huge as a Pharaoh’s, Egyptians should hearken to Seti’s (there was a real Pharaoh Seti) words and concentrate on building their nation instead of tearing it down. For those dreaming of copying from the Egyptian “Book of the Revolution,” I refer you instead to the Holy Book: Isaiah 31: 1. This entry was tagged DreamWorks, Egypt, Morsi, Pharaoh, Revolution. Bookmark the permalink.